As fun as it is to own a boat, they can create several headaches if you neglect maintenance. As well, some boaters and anglers don’t realize it, using a dedicated marine motor oil is vital to protecting marine motors. 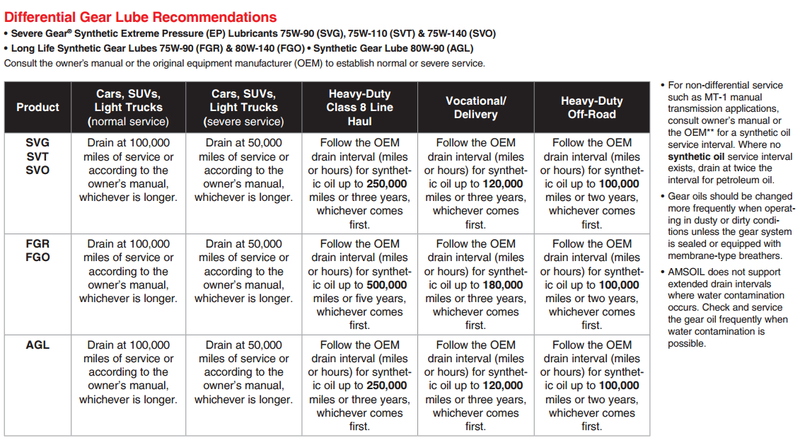 Why use a dedicated marine motor oil? 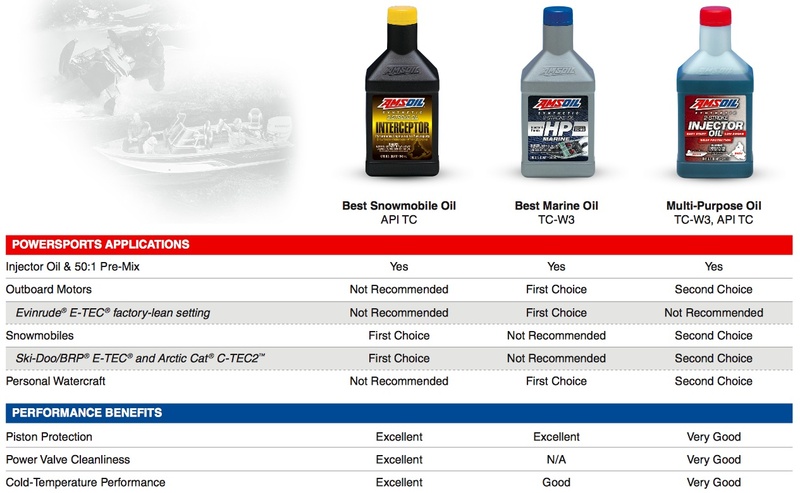 AMSOIL marine motor oil protects in demanding operating conditions, from rust and corrosion, and fuel contamination. Marine motors are characterized by high-rpm operation that can shear the molecular structure of oil and reduce its ability to protect against wear. On average, a marine motor propelling a boat 30 mph operates at 5,000 rpm, while an automotive engine powering a car 60 mph operates around 2,000 rpm. The added heat and stress invite wear and deposits. Heavy deposits can cause piston rings to stick, leading to compression loss and reduced power. Stuck rings can also lead to severe piston scuffing. Check the prop for debris – While you’re changing the gear lube, remove the prop and check for wrapped fishing line or other debris. It can damage the seal that keeps water out of the lower unit, allowing water intrusion. 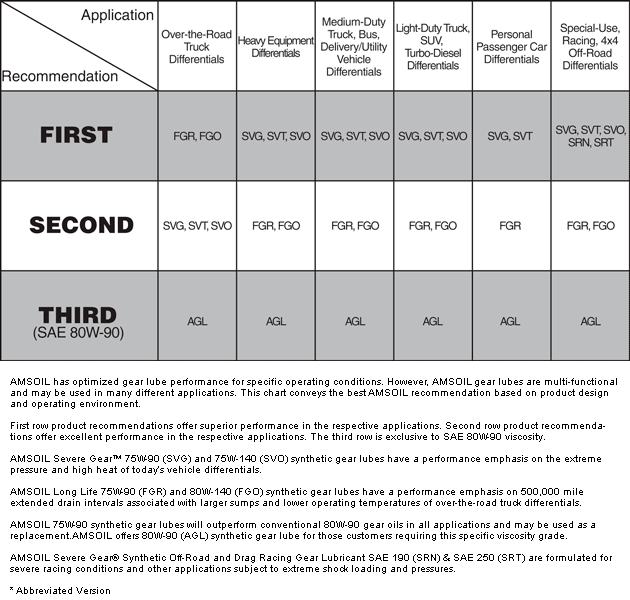 Grease trailer bearings – Like the tires, trailer wheel bearings are easy to overlook. They are submerged in water every time you launch and load your boat. Although the hub seals are designed to keep water out, age and neglect can allow water intrusion, which invites rust and corrosion. Rust acts like sandpaper and scours the ball bearings, causing them to run hotter and boil the grease out, worsening the problem. Grease the bearings at least once a year with a high-quality synthetic grease designed to resist water washout. I run DOMINATOR 2-Stroke Racing Oil in my Raptor De 2 race car that is powered by a 494 rotax snow mobile motor. I never worry about problems evem in the heat of Florida or the severe stress running at Daytona Speedwlay. I have never had a problem and the motor always looks like new at rebuild time. 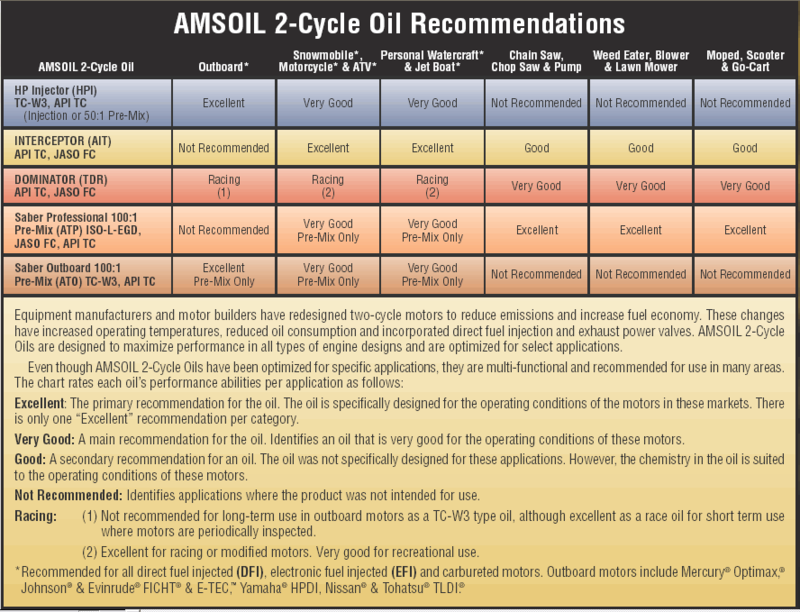 Thanks Amsoil for a great product.